The process of gathering information about Filipina/o writers from the early 20th century is subject to the variables of any life. Authors get sick, die; family members object to releasing information, or can’t be found; collectors hoard their materials like gold until they die, and their documents get tossed into the garbage; some people make up stories that are questionable; valuable papers get lost in the shuffle of life. Still, the archival research process can be incredibly uplifting and pleasurable, even enlightening. Recently I connected with the daughter of a Filipina writer (actually, it’s a bit limiting to call her a “writer” since she was multi-talented in a number of directions) who had been published by the Philippines Mail during the darkest period of the Great Depression, also a very dark period for Filipinos in the U.S. This writer, Helen Rillera, had experienced numerous daunting setbacks to her ambitions, and I suspect that her experience as a Filipina writer was more or less representative of the struggles of many Filipinas who had writerly, intellectual, or scholarly ambitions at that time. Still, she carried on with grace until her death in 1995. In the meantime, her daughter, Lala Llacuna, had become the family historian, not just for her immediate family, but for her very large extended family. She had amassed hundreds (possibly thousands?) of old photographs ranging from the late 19th century to the present, and had created a number of detailed family trees that were meticulously dated and detailed, and highlighted with photographs. For the annual family reunions, she began to write histories of notable family members, which were included in the thick volumes that became the family reunion yearbooks. She also created two extensive digital archives for the photographs, available only to family members, which became a site where these histories could be discussed and added to. I drove about 90 miles to meet with Lala. When I first entered her house, the first thing I noticed was the large kulintang array (a series of gongs used to play indigenous Filipino music); the second thing I notice were her fishing poles — she is a serious fisher. Photos of family members were hung on the walls. We sat down at a large table, and she offered me some bico, the sweet rice dish that I rarely eat nowadays, since my mother passed away — what a treat! As we talked-story, she spread out on the dining room table her newspaper clippings, discs, photos, and photocopied pages, not only of her mother’s writing, but also of the writings of others about her mother: memorial poems, letters, essays—even a Excel sheet listing dates of articles/essays/poems and their titles, juxtaposed with a timeline. As she talked of her parents and grandparents, I thought of my parents, and the grandparents I never met, and of the many letters I still have, that passed between the United States and the Philippines over the years. Her mother as a child arrived in the U.S. in the same year that my father arrived, 1929; both of them suffered a journey in steerage across the Pacific ocean by steamship. Later, we had some homemade nilaga (meat/vegetable soup) with abalone that her son had brought back from a dive. She spoke of what got her interested in the family history; meeting and talking to relatives who visited her grandmother and mother; listening to them talk and tell stories. While her interest was spurred by an abundance of stories and exposure to family members, my own interest was spurred by a prescient silence in my family: stories that my father hinted at, but never told in full; grandparents that I never met. While her research focuses primarily on her family circle, in fact, it also connects and speaks to a much larger history of migrations, wars, technology, eras of relative peace, prosperity and economic decline; it’s all there, in the family and community. The amount of research Lala had done—talking to relatives, digging through archives, contacting genealogy sources, letter-writing, transferring to charts, categorizing and dating, scanning and digitizing of photos, etc.—was really significant. Her detailed family trees look like biology charts for genus and species. I was a little overwhelmed, but also very appreciative of all the knowledge that she has gained, and most importantly, passed on to her huge family, and even to me—a relative outsider. Of course, no matter how small your family circle seems to be, in reality, its roots spread out and intermingle with countless other relations. It’s not unlikely that even I am related in some distant way to Lala’s family. What’s really wonderful, though, about her family research, is the care she has taken to acknowledge and value all of its members in some small way—at least those members that she knows about. It really says something about the power of her generosity and openness of heart. It also reminds me that such “research” need never be dry, dull, or selfishly competitive, and the documents and photos we study are always part of a living community. I try to approach my own research with a similar curiosity, openness, generosity, and care. A couple years ago, I visited the vault of the Monterey County Historical Society, where I looked through some Filipino newspapers from the 1930s. The pages were yellowish and brown on the edges, and the curator told me that this is because newspapers in that era contained a lot of acid and the paper was not properly washed when processed. Even though we were wearing gloves, careful lifting of the pages always resulted in the visible degradation of the page; sadly, my lap was soon full of brown flakes of paper when we were done. So what do you do with your old documents and images, especially if they have some historical and/or educational significance? One solution is to donate or loan it to a historical society, library, or museum. However, you can’t always count on such institutions to care for your materials as you would like them to. Things do get lost sometimes (as I learned when I requested to see hard copies of the Philippine Advocate at a UC Berkeley Library); it’s possible that old documents might one day be found rolled up and rubber-banded, stuck in the corner of a back shelf. With such a large volume of materials in storage at a university, there’s a chance that your material will be given a number, forgotten, and become inaccessible–especially to non-academics. If you give your files to a local historical organization’s archive, it may be more appreciated and more accessible to an interested community. However, such localized collections are not always well organized, and they might not have enough funds to have a proper preservation system in place. I remember visiting such an organization to do research, and ended up helping the curators hunt through half a dozen dusty cardboard boxes, piled in a closet. I don’t want to scare you off; some institutions will treat your materials well. But you have to think carefully about the risks for any of these options. On the other hand, things that you keep at home can also get misfiled, moldy, degraded by its own acid content, chewed by vermin, sold in yard sales after you die, and otherwise spirited away. A lot of collectors make digital copies, and store them on CDs, DVDs, in their hard drives, or in the Cloud. Fortunately, or unfortunately, content management systems change. And in general, technology is constantly changing with such rapidity that it’s hard to keep up with what memory tool has been discarded, and what’s currently in use. But let’s say that you are going to store and maintain your own collection for now. American Indian artwork.com has a tutorial on how to archive your images and documents for posterity. Nicholas Jackson also provides some great tips in “Taking Care of Your Personal Archives” (The Atlantic, Nov., 2010). Keep both hard copies and digital copies. Here’s a brief list of steps drawn from www.american-indian-artwork.com. And, yes, it will be tedious. But at least you can be sure that you are doing the right thing for your collection! * A good camera (for photographing objects). A scanner will provide the best reproduction, with the least distortion, for photographs and texts. * Adobe Photoshop or other image editing software. * Digital images: keep one original version and create one “restored” version of each image. * Create multiple backup copies: one or two copies of each image for your hard drive, same on CD (or whatever is the current most dependable (i.e. usable on most computers) technology. * Create an archival print copy (i.e. “good old fashioned hard copy”), 8 x 10 prints, if possible, at maximum resolution. * Place CD copy and print copy in off-site storage, e.g. safety deposit box in your local bank. * Set up a regular, annual maintenance plan, which may include checking items for aging, and updating your images to new technology. 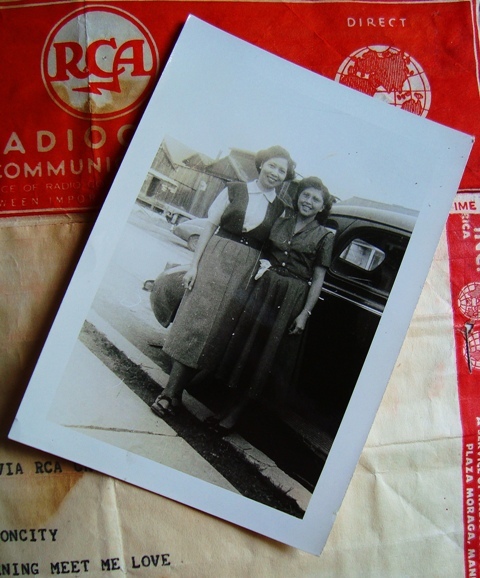 See Create Digital Archive of Vintage Photographs for more detail instructions. * “Pensionados, Paisanos, & Pinoys: An Analysis of the Filipino Student Bulletin,” 1922-1939, FANHS 4, (1996): 33. As of today, I am moving my Commonwealth Cafe Blog to this website, so website and blog will be in the same place. This is one of the first steps in starting up my press, where I hope to promote the study of early 20th century U.S. Filipino periodicals, and publish writing (pamphlets, tracts, articles, essays, and books) from that period. That said, I have a lot of work ahead of me, and (plan in hand) many steps to take in this process, including, next year, a Kickstarter campaign. Thanks to my web designer, Denise Enck of Quanta Web Design and Empty Mirror Books for helping me add the blog, and taking care of a few website issues. In the meantime, I may republish a few old articles from the previous blog (which I will shut down next week), and add some new ones — just to stoke the fires. Let the stoking begin!